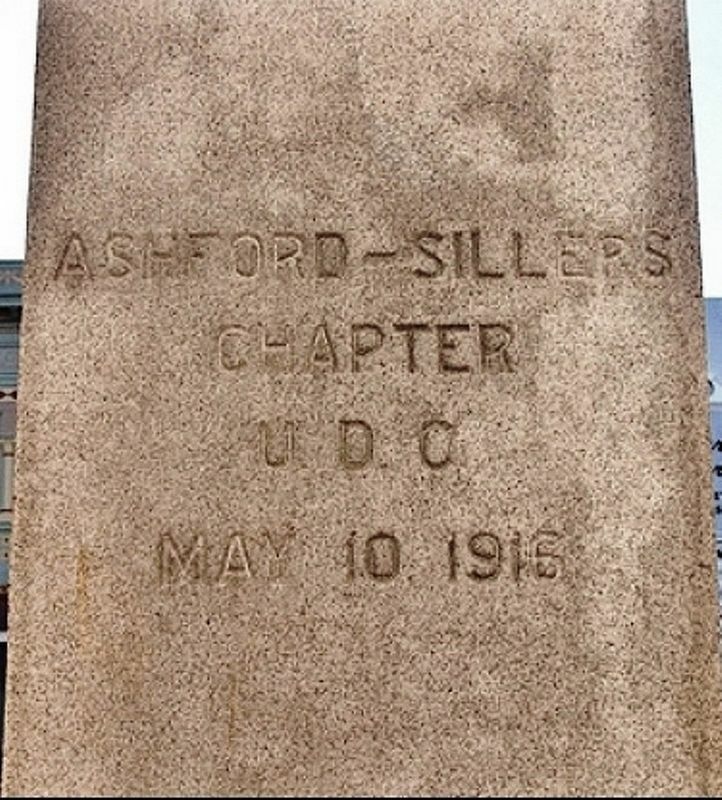 Erected 1916 by Ashford-Sillers Chapter, United Daughters of the Confederacy. Location. 34° 59.873′ N, 78° 19.423′ W. Marker is in Clinton, North Carolina, in Sampson County. Marker is on Main Street east of North Wall Street (County Road 1839), on the left when traveling east. Touch for map. 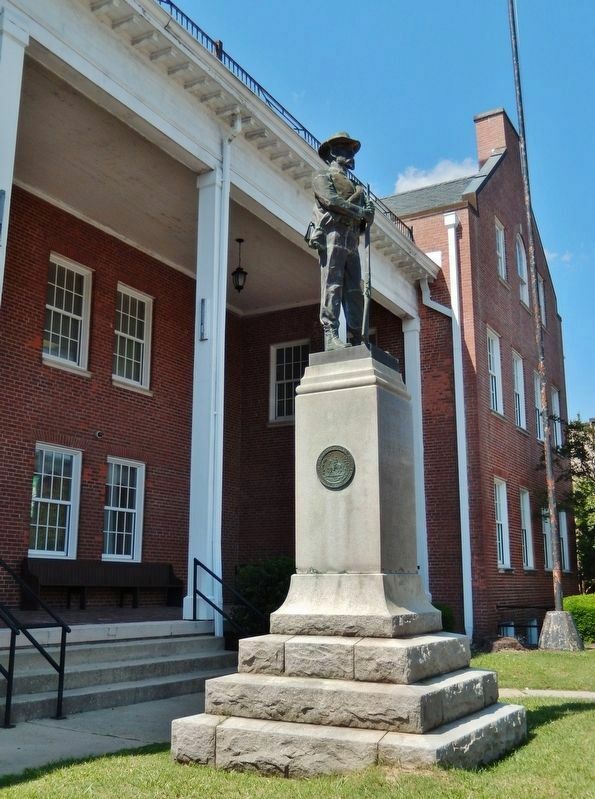 Monument is located directly in front of the Sampson County Courthouse main entrance. 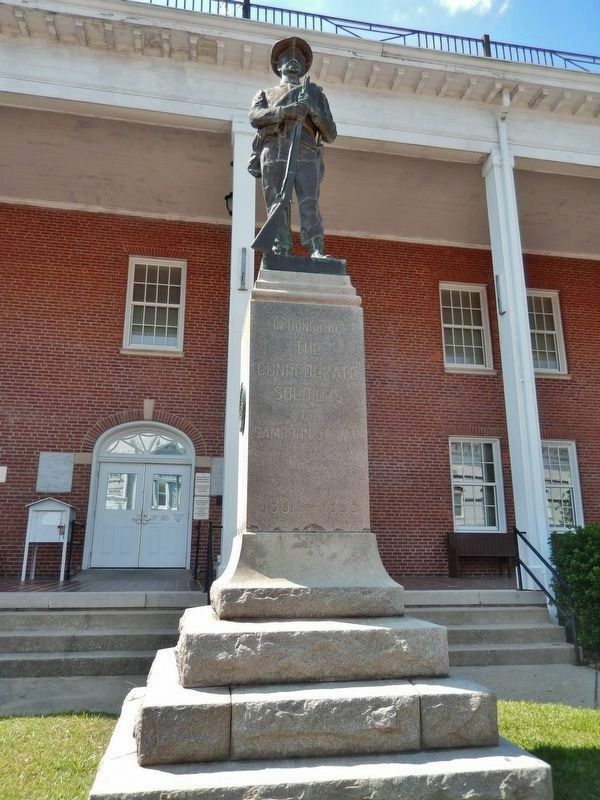 Marker is at or near this postal address: 101 Main Street, Clinton NC 28328, United States of America. Touch for directions. (a few steps from this marker); Town of Clinton (within shouting distance of this marker); Gabriel Holmes (approx. 4.3 miles away); Thomas O. Moore (approx. 7.9 miles away); Duplin Old Courthouse Site (approx. 10 miles away); James Kenan (approx. 10.1 miles away); Veteran’s Memorial (approx. 10.8 miles away). Touch for a list and map of all markers in Clinton. More. 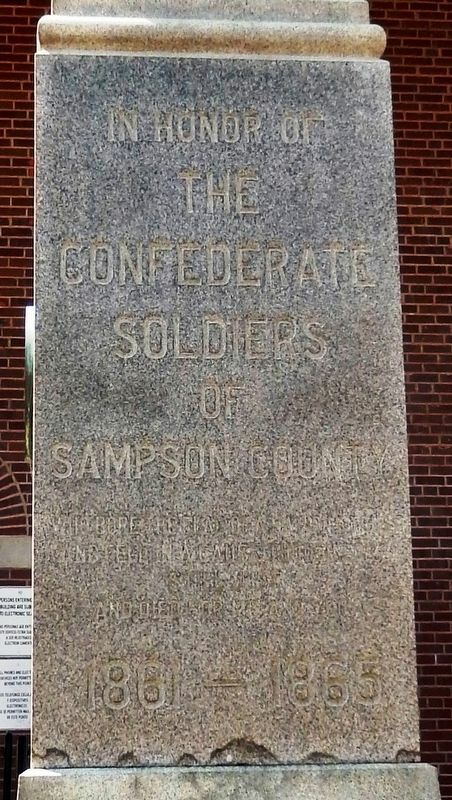 Search the internet for Sampson County Confederate Monument. Credits. This page was last revised on March 10, 2019. This page originally submitted on March 9, 2019, by Cosmos Mariner of Cape Canaveral, Florida. This page has been viewed 32 times since then. Photos: 1, 2, 3, 4. submitted on March 9, 2019, by Cosmos Mariner of Cape Canaveral, Florida.